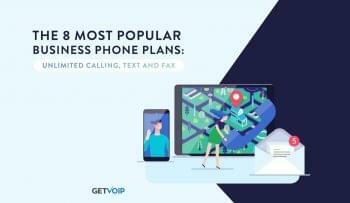 Business telephony and VoIP in general have been rapidly transformed by the rise of cloud phone systems — this is a pretty known concept by now. By delivering the capabilities of a PBX through the internet, Business VoIP and Cloud Phone system providers are capable of providing incredibly powerful functions and VoIP phone system features at a fraction of the cost of legacy solutions. But much more importantly, by delivering their solutions through the cloud, vendors and providers have been able to grow these phone solutions, and introduce some truly revolutionary functionalities that would have never been possible previously. 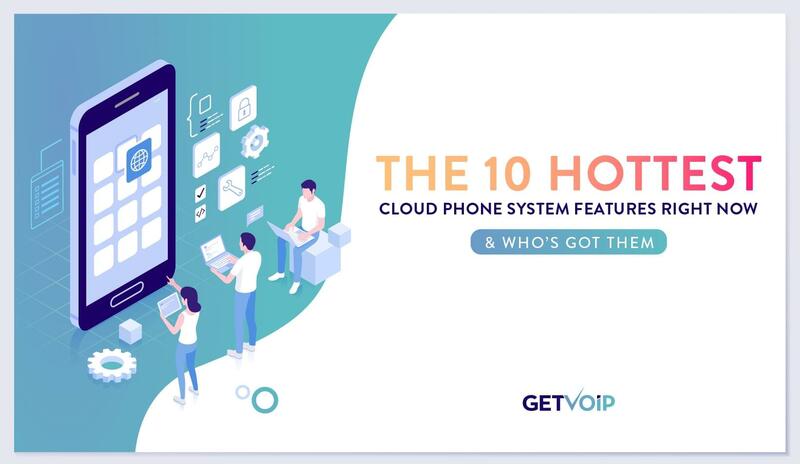 Whether your team is looking to integrate their phone system with other business applications, or inject AI right into their communications, these are the some of the hottest Cloud Phone system features right now, and the providers that offer them. One of the strongest benefits to a Cloud based phone system is the ability to utilize and leverage mobility. With mobile apps available from all, if not most, Cloud phone system providers, new functionalities open up. One of the hottest mobile enabled features in particular has to Find Me, Follow Me, and any other similar variations. Find Me, Follow Me enables users to receive or place a call on multiple devices, while still using the same extension or phone number. For example, users can set up their number to tie together an IP Desk Phone as well as a mobile smart phone. That way, when their work number is called, both the desk phone and smart phone will ring — the user then has the option, of course, to answer the call on either device. 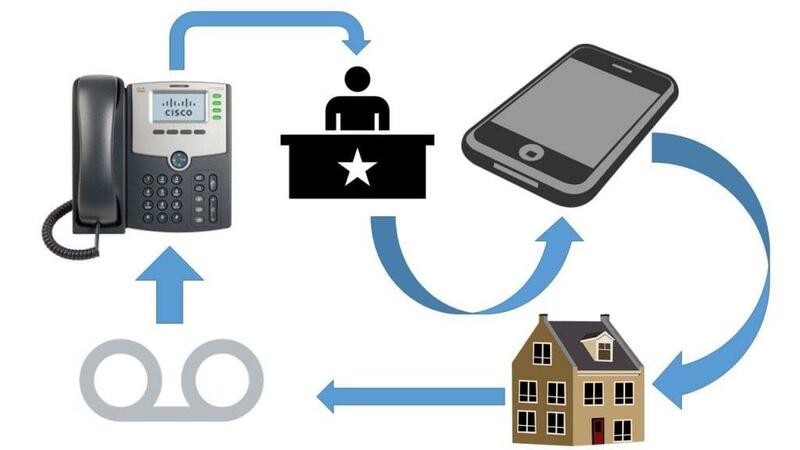 Users can also hand off, or transfer, calls between the two devices seamlessly, without the other participant even knowing. In this digital world, we are always connected thanks to the devices we carry around with us every day. Smartphones, tablets and other mobile devices enable us to stay in the know even when on-the-go and traveling. 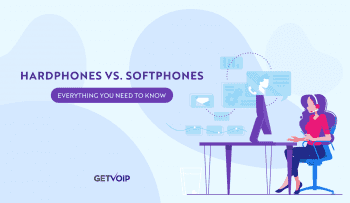 The same is true for Cloud telephony — users aren’t tied down to a desk phone, but instead can utilize the service anywhere they have an internet connection. So why should our Cloud phone systems stay in the office? Find Me, Follow Me directly takes advantage of this mobility and connectivity, and enables businesses and users to stay more agile, never missing a call again despite being out of the office. You won’t even have to juggle two independent phone numbers either, just provide clients and colleagues with your single office number. Cloud telephony is experiencing a bit of a paradigm shift, as has been made obvious within just the past year. We’ve discussed before the transformation business communication is making, shifting towards Unified Communications, and Cloud Telephony is of course at the forefront of this new shift. Vendors are developing new integrated platforms to combine every single tool and feature and organization needs to effectively communicate, all into one package. Unified Communication Platforms are the latest advent for cloud telephony. Vendors and providers are combining Cloud PBX and telephony functionality with tools like CRM, Live Chat, analytics, call management, contact center functionalities and more, into one single and easy to use application. Communication providers have recognized that organizations are seeking to consolidate their applications and tools in order to boost efficiency and productivity. Nextiva, who is leading this paradigm shift, has developed their own integrated communication platform, NextOS, that combines Cloud telephony functionality with the necessary tools and features teams need to control and manage the entire customer journey and every aspect of communications, from the initial interaction to post-call surveys and analytics. Users are able to interact with customers on different channels, whether that be voice, live chat or email, and at the same time have immediate access relevant information like customer history, call context, and even AI powered analytics that can predict outcomes or solutions. Organizations both large and small are going through digital transformations, moving away from legacy technologies and shifting to cutting edge cloud platforms. Just look at how both Avaya and Mitel have been transitioning their offerings recently. As teams move into the digital world, they can quickly become overwhelmed with the sheer number of available options of not only vendors, but also different cloud solutions. Service providers have recognized that this increasing number of applications — from Cloud PBX tools to CRM to analytics and more — have become difficult to juggle and manage when they are sold and operated by different vendors. Integrated communication platforms are the next step for cloud phone solutions. By combining all of these tools, processes and functionalities into one application, organizations and individual can easily manage their communications, contacts, and all associated information, from the same application, provided by the same vendor, under the same contract, and charged on the same bill. As we’ve taken a close look at AI within Business Communications recently, it has become increasingly clear that the technology is finally making its way into real-world applications. These initial use cases might not be as impressive or groundbreaking as originally predicted, but they are alive and real. AI can be used within communications to drastically improve how effectively we communicate. Modern chatbots, for example, have begun leveraging AI and learning algorithms to provide the best customer support possible. 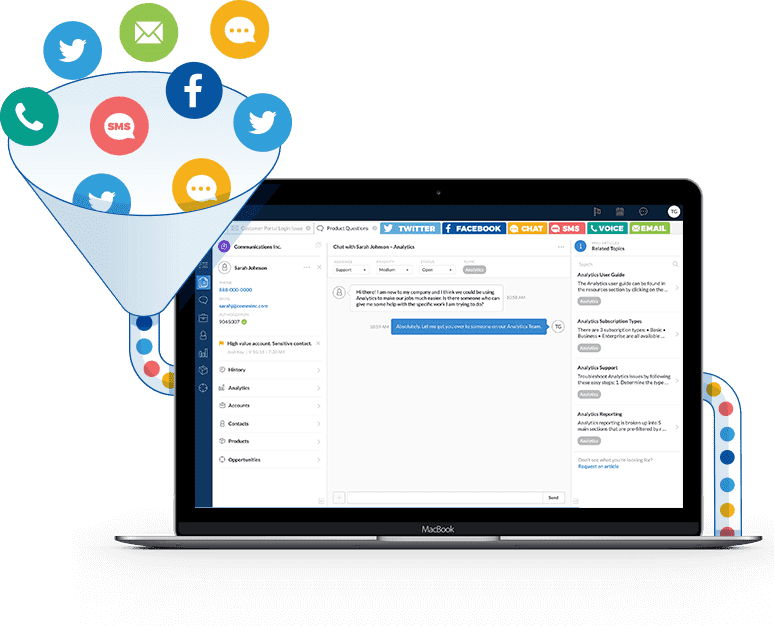 AI within business communications, and more specifically cloud telephony, offers a few capabilities, including Speech to Text, Natural Language Processing and Sentiment Analysis. These features can be used to transcript conversations, understand what a caller is asking, and process the emotions or intent behind those requests, respectively. Sentiment analysis is possibly one of the more common and popular functions. By analyzing context and real-time conversations, AI is capable of determining the internet and emotions of each speaker. The system can then make predictions or suggestions on the next action to take, based on these emotions. As time goes on, even more real-world applications of AI in cloud telephony will emerge, but even right now tools like Sentiment Analysis and Natural Language Processing are very impressive. A real world example is Vonage Business’ smart Chatbot, Vee. Vee enables customers to utilize natural language commands to setup, manage and trouble shoot their Vonage Business accounts. Vee can suggest different answers based on the context of the questions that are being asked. Artificial is a very quickly emerging technology for a number of reasons. By utilizing machines to analyze data, learn patterns and understand trends, these tools can eventually make predictions and suggestions within a fraction of the time it would take a person. AI may not change how we communicate, but this level of automation can enable us to communicate much more effectively. Sentiment analysis is an incredibly powerful tool utilized within contact centers to recognize an issue before it occurs, or to assist agents in mitigating any issues should they arise. Personal assistants have become popular as well, just look at Amazon Alexa or Google Home. These tools will enable us to better understand each other, and work more effectively towards a better decision. Coinciding directly with another feature we already discussed, integrated communications platforms, another major paradigm shift within cloud telephony is the inclusion of next level team collaboration functionality. Messaging and collaboration tools are on the rise as well, and Business VoIP and UC providers have taken notice. These platforms help us work and collaborate in new, more effective ways. When discussing next level Team Collaboration, we are looking at tools that extend beyond basic messaging or presence functionality — those are just the basic aspects of the most common team collaboration solutions. Instead, next level Team Collaboration introduces some of the latest technologies and collaboration methods, screen sharing, file sharing, document editing, web conferences or webinars, and more. Task and project management have also become hot collaboration functionalities, and stand as strong examples for what we mean by “next level” collaboration — tools that introduce entirely new methods to communicate and manage work, even on a granular level with individual task management. It is also important for these platforms to integrate directly with the basic cloud phone solution, but also other tools and functionalities organizations are already using. 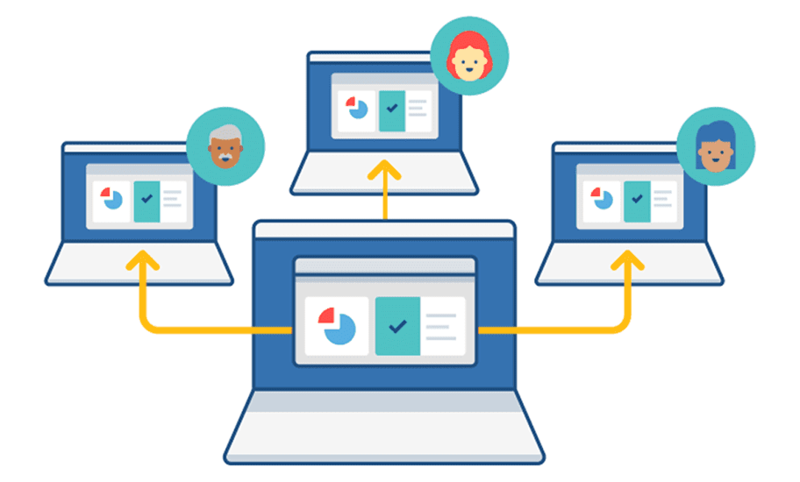 Video and web collaboration functionalities are huge as well, enabling users to communicate face-to-face while in separate locations with multiple users, along with the capabilities to share documents, files, and sometimes even desktop screens. Team collaboration has reached a new level recently, with solutions like Slack, Glip and Cisco WebEx taking off the way they have. 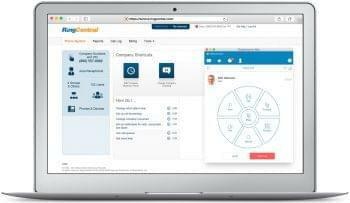 Just like the integrated communication platforms we discussed, these Team Collaboration platforms again extend Cloud phone solutions beyond just simple calling or IVR and ACD functions. By including Team Collaboration features within a Cloud phone system, providers are expanding the available toolset organizations have at their disposal to be as productive and efficient as possible. This also ties in with the idea of a digital transformation, and mobility provided by a cloud system — these collaboration tools can be used on the go, and allow us to always stay connected. If there is one common theme among some of these hottest features, it is the idea of simplicity. Making it simple to achieve complex results or complete a complex process provides the agility and flexibility that businesses need to react in the moment. Some providers have made managing your entire cloud phone system as simple as possible, without any complicated coding or intense knowledge necessary. Previously, with legacy telephony and PBX solutions, organizations would need an in-house IT department to help configure, manage and maintain their system. Changing call flows, introducing new lines, reassigning extensions, or managing the IVR system was complex and required training and knowledge. But Cloud phone systems have removed the need for an IT department to manage it all, and has put that power in the hands of the everyday manager or CEO. With simple “click and drag” or “drag and drop” configuration, users can completely change a wide number of aspects of their system with ease. 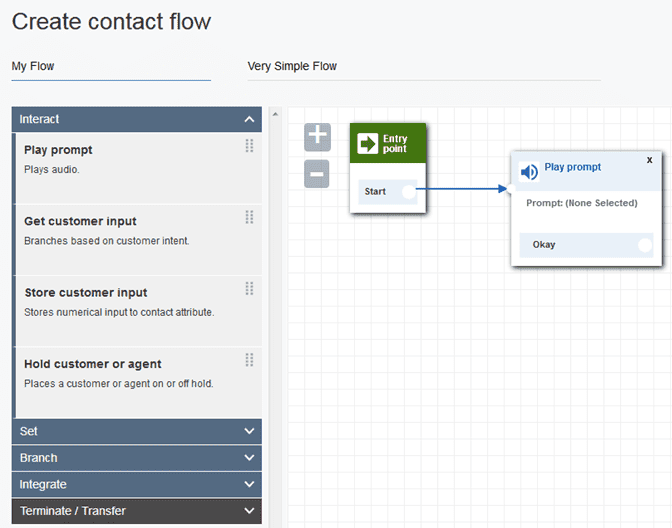 Creating new call routes or call flows with click and drag functionality allows users to optimize the system without the need for coding or if:then statements and logic to make it happen. One of the major selling points of Cloud telephony is the fact that it moves the system out of your organization’s building, and instead delivers it through the cloud. These hosted platforms enable organizations to quickly and rapidly adapt, without the need for complex or costly hardware. Follow in that idea of simplicity and flexibility, cloud telephony vendors are providing organizations with the tools necessary to configure the system to their specific requirements, as easily as possible. Drag and drop configuration enables even the least technically savvy user to setup and modify their solution. Flexibility, agility and simplicity are key. Voicemails can be the ultimate life-line for some, but for most of us they can simply go unchecked. It just takes too long to sit down and listen to multiple drawn out voicemails — but it doesn’t take nearly as long to quickly skim through a few emails. 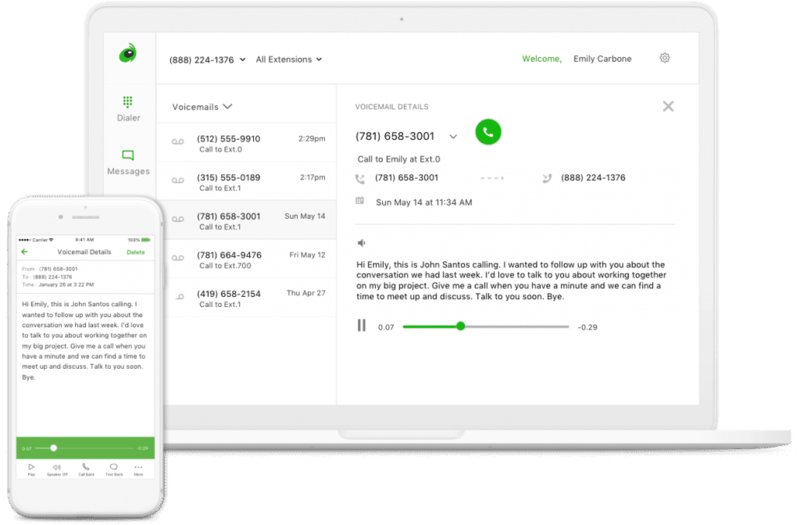 Again, since cloud telephony is all about flexibility and simplicity, it makes sense that would extend to voicemail as well. Simply put, Voicemail To Email is a form of voicemail transcription. When someone leaves a voicemail on your extension or number, the system then analyzes the content, and transcripts the entire voicemail. The transcript can then be directed to the user in a written format, generally email. Some solutions can go even further and provide text notifications or alerts. While such a seemingly simple feature, Voicemail to Email is a must have in the digital age, when we are always on the go. Again, this feature is providing the simplicity and flexibility that modern workers need to stay connected, no matter where they are or when it is. Voicemail to Email transcription is an amazing way for workers to gain a better control over their voicemail inbox. Instead of letting those annoying messages just pile up, and have important information get buried, users can just quickly skim through the transcripts within their email. 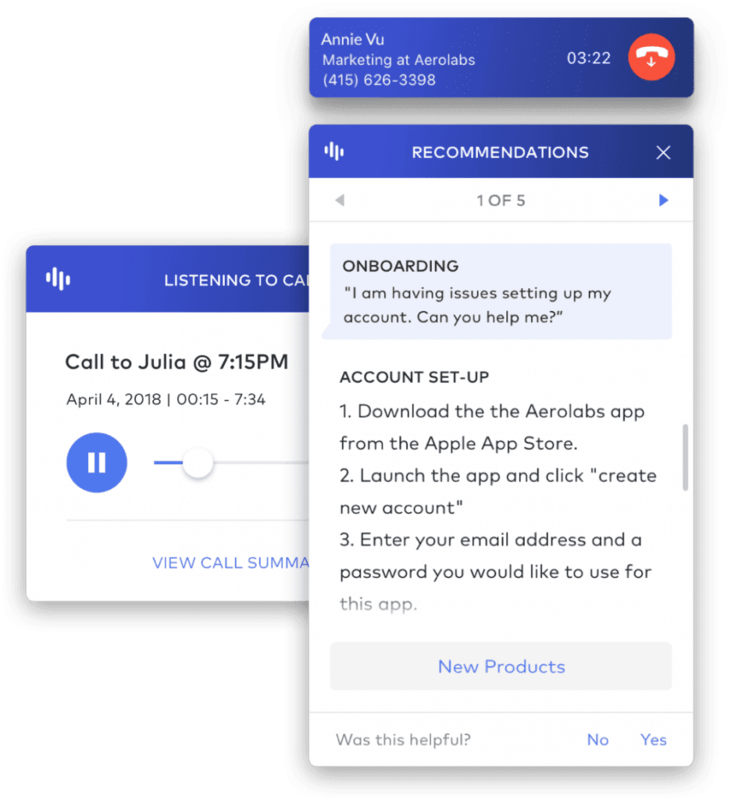 By using some of the AI we mentioned previously, like natural language processing and speech to text analysis, these powerful cloud phone platforms can do a lot of the heavy lifting for us. As time goes on, the AI will grow more intelligent and in turn get better at understanding both what is being said, and the context and intent behind it. Voicemail to Email admittedly isn’t something all that new, but it is still an incredibly popular feature, and one that organizations should be on the search for when comparing vendors and platforms. Of course, having a public telephone number can be both a blessing and a curse for businesses. On one hand, we want it to be easy for clients, customers and collaborators to get in touch with us — and a phone call is of course a great way to do that. But constant interruptions throughout our day can quickly destroy any bit of productivity, and no one wants to be bothered with pesky telemarketing or robocalls. The idea of call screening is as old as the Caller ID, and the concept of course isn’t anything new at all. However, with the rise of cloud telephony and Business VoIP solutions, vendors have been able to develop some pretty intense call screening tools that go beyond just basic caller ID screening. 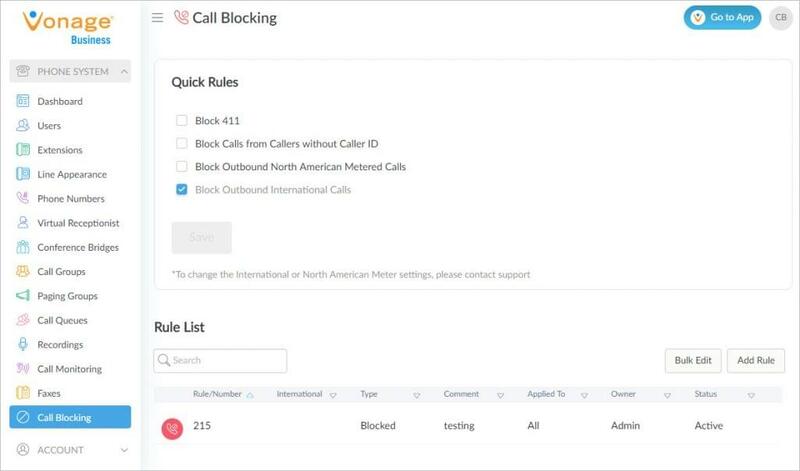 Cloud call screening tools generally include some intense features, like the ability to completely block numbers, block caller ID, or even control the call before you answer it. Some of these tools will require the caller to say their name to be recorded, so that the recipient of the call can hear and know who is speaking and calling their line. The user then has options to transfer the call, send it to voicemail, or answer it. Some Call Screening tools also introduce spam shields, and can check numbers based on a database to ensure they aren’t spam. Robocalls in particular have been on the rise for quite some time now, growing in frequency. It is not uncommon to receive multiple robocalls or sales pitches a day. While they might only take up a few seconds, the interruption will throw off an entire train of thought and require minutes to get back on task. Privacy in general is also becoming a much more common concern of many — we want to be available and connected, but we do not want to be exposed and open. With Call Screening tools, like prompting a caller for their name, or simply providing users with the functionality to transfer or redirect calls before they answer, users can stay in better control of how often their phone rings, and keep distractions at a minimum. Most internet users are accessing websites and applications on their phones, instead of standard desktop or laptop computers. Because of this, websites and apps of course need to be developed to work and display properly on these mobile devices. This of course means different webpage layouts, different buttons and navigation methods, and overall a simpler user experience. Click to Call is the ability to embed a simple “call us now” button directly on your business’ website, or within their mobile app. 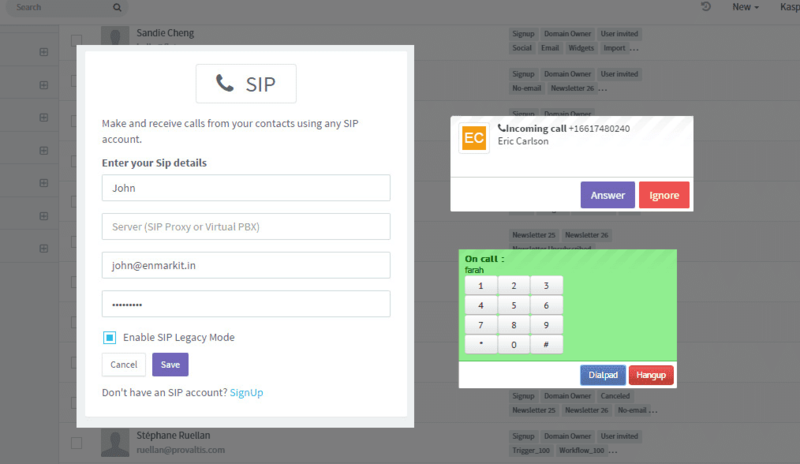 Clicking this button, as the name states, would simply connect users directly to a phone call with your business or a representative. The idea is that mobile users need a way to simply and easily engage your organization in a phone call while they are browsing on your website, or using your mobile app. Organizations should strive to remove as much “friction” as possible from the customer experience, and opening up simple communication and navigation is a great way to do that. As we’ve said, most internet users are now currently on their cell phones or mobile tablets. The internet has seen a major shift towards these mobile devices, and has been catering to them ever since, most recent web design trends have been in response to the massive adoption of mobile favored design. 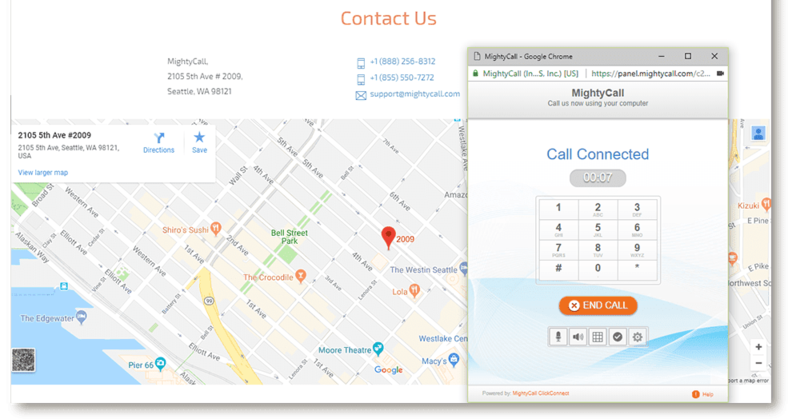 By offering a simple “Click to Call” button right on your organization’s website, or within a mobile app, potential customers or clients do not have to jump through extra hoops, or engage into a long process, to simply get in touch with someone. Instead of requiring the user to navigate to a “contact us” page, write or copy down the number, then navigate away from your website or app to open their dial pad and place the call is introducing friction — it is these extra steps that prevent them from becoming a closed deal. With the simplicity of just clicking one button, never leaving the product or service the user was viewing, the process is as easy and quick as possible. API has become a very popular three-letter abbreviation within the past few years. 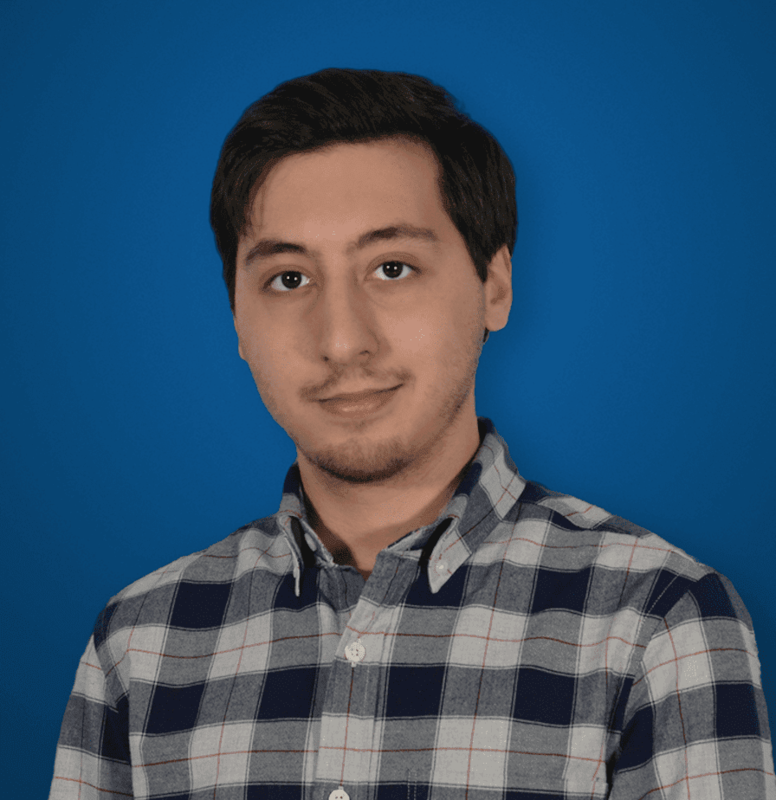 While the behind the scenes workings are a little complex (or maybe not so for web developers, since that’s the point after all), the idea and concept of an API is very simple — connecting two previously independent tools. API stands for Application Layer Protocol. Without getting too much into the specific workings, APIs enable developers to combine two previously independent applications, tools or functionalities. APIs are used to “integrate” multiple tools and applications together. This means that through API support, an organization can integrate their CRM solution with their cloud phone solution, bridging the gap between these two otherwise separate applications. An integration like this would enable users to view relevant caller data without having to flip away from their cloud PBX application and call management features — it would all be displayed on the same window. Another take on communication specific APIs are the powerful messaging, calling and even video capabilities powered through platforms like Vonage’s Nexmo API platform. Similar to the idea of a Unified Communications Platform, API capabilities are important to leverage to ultimately boost productivity and efficiency. By connecting these independent solutions and tools, users can find the information they need and utilize the features they need without having to change applications, or flip through different windows. While it may seem like a small time-save, the reality is that API integrations and capabilities can drastically change the way teams work, communicate and collaborate. API capabilities have almost become a necessity, and it has become common for cloud phone providers to offer an extensive list of different integrations covering all different industries, applications and features. Some integrations can be as complex as CRM and telephony, or as simple as submitting call logs to a Slack channel. Either way, users save through connected apps and platforms. When we look at more advanced Communication APIs like those from, organizations gain access to the behind the scenes services, as well as the direct APIs needed, to create some complex communication functionalities. For example, organizations can directly implement video chatting services into their applications, or messaging functionalities embedded into websites. Perhaps one of our favorite collaboration features, screen sharing is almost an absolute must have if your team is looking to collaboration remotely, and take full advantage of other useful tools like messaging and more importantly video conferencing. Screen sharing is a bit self-explanatory. The functionality enables one user to “share” their screen with another. This means that once user is able to view a real-time live stream of the other user’s computer screen, or a portion of the screen. Generally combined with video and web conferencing, screen sharing is a great enhancement to provide greater context and foster stronger collaboration, without requiring users to meet face-to-face. Some more advanced screen sharing tools even enable users to hand off control of their applications and desktop to others. Screen sharing, as I mentioned, can be considered one of the strongest collaboration features for unified communications and cloud phone systems. Users can drastically enhance their online meetings by providing an entirely new element of context and collaboration. Instead of sending a copy of the document you are discussing through email, and hoping that each user will follow along appropriately, screen sharing can be utilized to simplify this process. One user can simply share their screen of the presentation, and all other users in the web conference are able to follow along. Screen sharing can also be used for other meetings, like in-depth product demonstrations of software, or even remote training and guidance with support agents providing clients assistance and direction, utilizing exactly what the client is or should be seeing. It can sometimes be difficult to keep up with the sheer amount of innovation that cloud phone solutions experience almost on a daily basis. It seems as if vendors and providers are constantly pushing out the latest features, integrations and additions to their platforms — some of these represent the latest technologies to assist us in our daily lives, while others can be seen as gimmicks. When browsing through the extensive list of features offered by different systems and platforms, we were able to fall back on this list of what we feel are the strongest, hottest and most advanced features — not necessarily of what is offered, but instead of what is actually used. 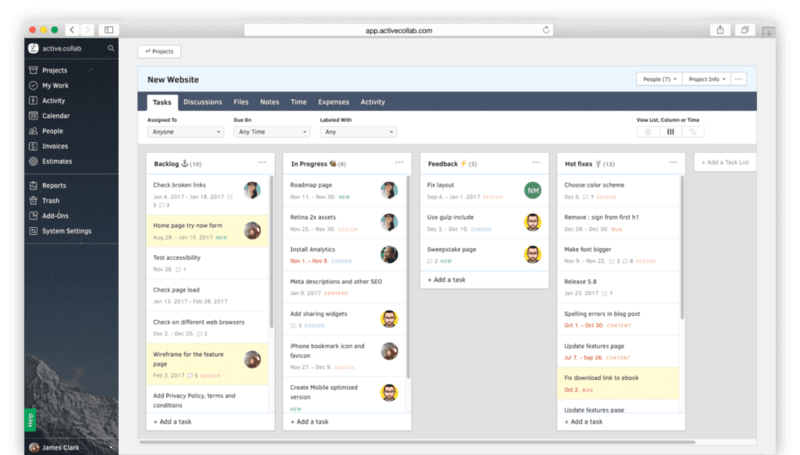 We wanted to focus on the tools and features that teams and organizations would actually utilize, and offer that information to help your team adopt these new tools and improve productivity, efficiency and collaboration overall.